Shears feature a slim left handed model which is ideal for stylists with petite hands. 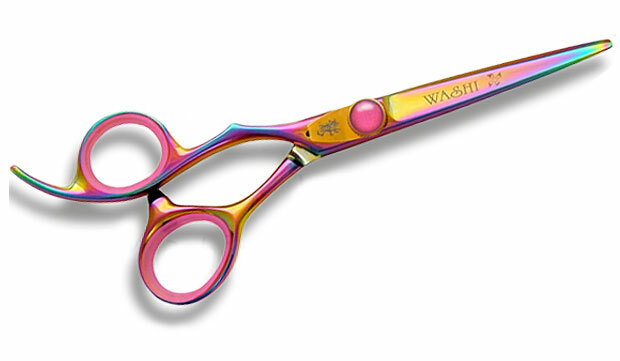 We recommend the Washi LFXO R Rainbow Dragon Lefty Shears as a comparable product. Nice looking pair of left-handed Washi shears in titanium colors. This is model Washi LUF GR (Golden Rainbow), available only in size 5.5. If you've never tried Washi shears before, this is a great pair to start with! Unleash your creativity with this alluring "Gold Rainbow" shear. This slim left handed model is ideal for stylists with petite hands.